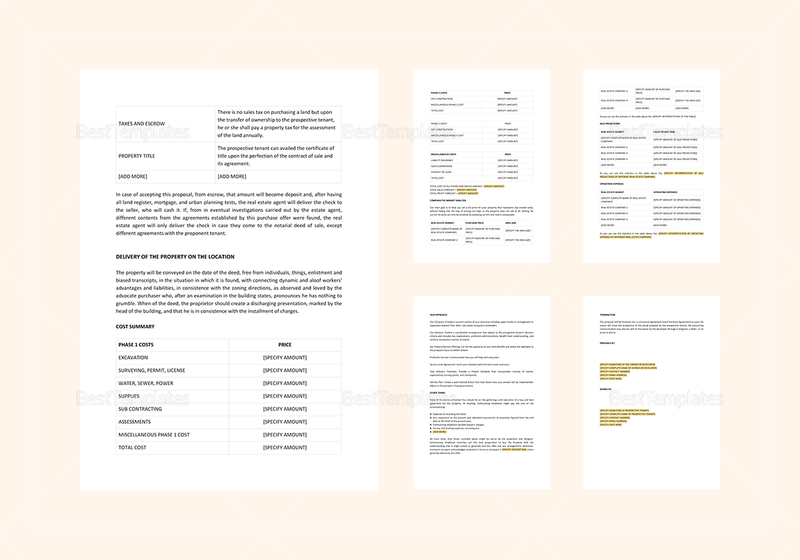 Make fast and easy real property deals using this Land Sale Proposal Template available in A4 and US letter sizes. 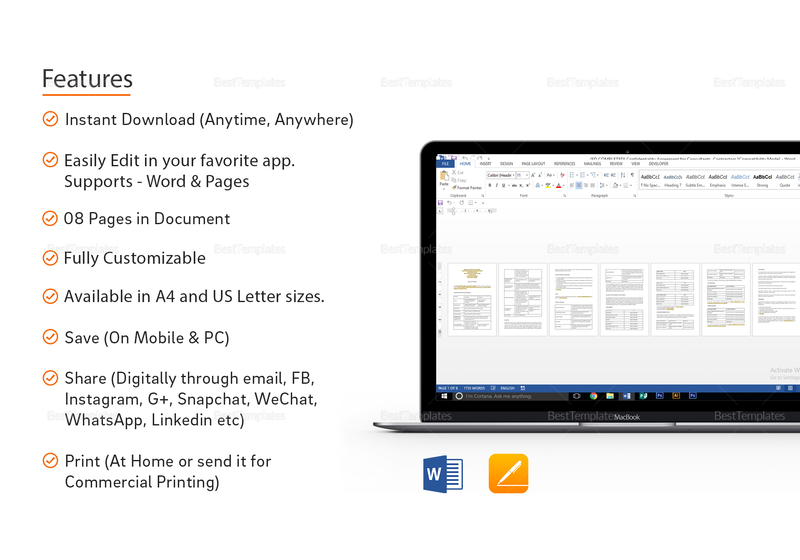 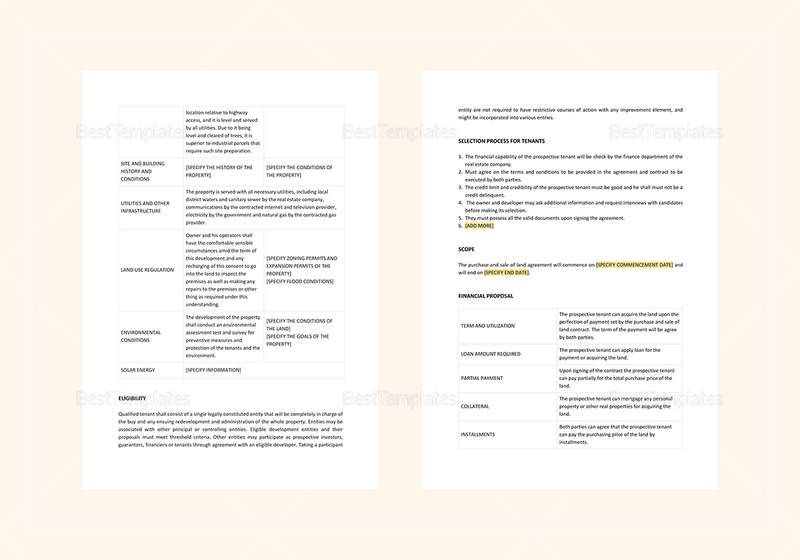 Simply download this 8-page document and edit by replacing the highlighted sections of the document with your information using your favorite application that supports MS Word or Pages file formats. 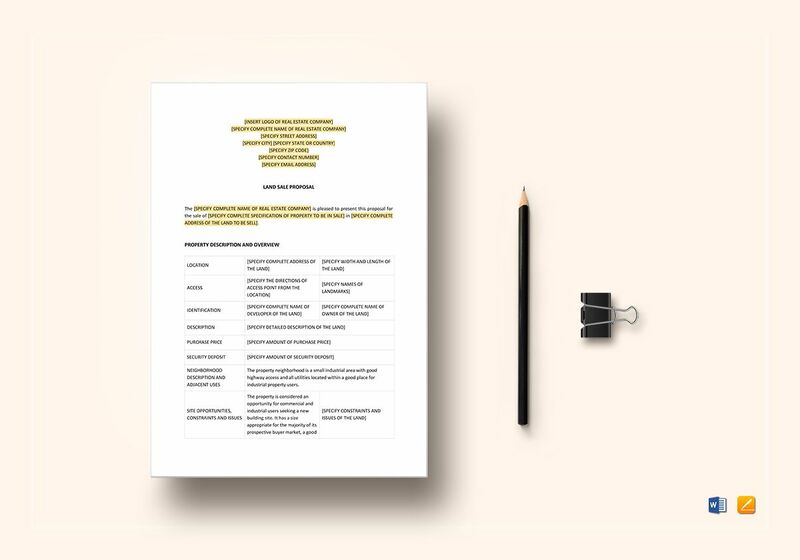 Have the convenience of printing at home or sending out for commercial printing.